This tour will visit working ZAM (Zero Additional Maintenance) sites that are designed to integrate water quality improvement while minimising maintenance requirements. ZAM-WSUD is an exciting prospect for organisations who have avoided Water Sensitive Urban Design (WSUD) due to the challenges of ongoing maintenance. ZAM-WSUD designs to date have aimed for a 50+ year asset life with no filter medium replacement and no sediment or litter removal. Also the concept seeks to involve local residents in vegetation maintenance where necessary and possible. 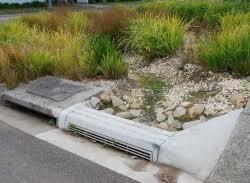 Manningham Council, in partnership with Melbourne Water and Monash University, have lead the development of ZAM-WSUD. Manningham has installed over 20 ZAM-WSUD assets, supported by Monash University research. This ZAM-WSUD tour will visit four working ZAM sites - allowing plenty of time for presentation, questions and networking on conclusion of the tour. Mini-bus travel: Participants will be responsible for organising their own travel to the meeting point and then a mini bus will be provided to travel across the 4 sites. Refreshments: will be offered at a networking session in the park to be held at the conclusion of the tour. Suitable for anyone involved in design, construction, urban planning, maintenance or management of WSUD assets in public or private developments.